Richmond has recently become more vibrant with the ever increasing amount of apartments being built near the Yarra river and especially so on the traditionally rundown Victoria Street. 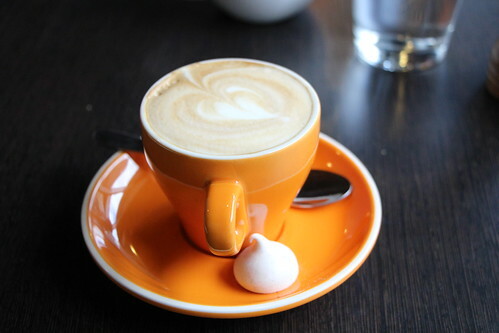 On It Burgers has two stores, one in Ferntree Gully and the other in Richmond/Abbotsford so their inner city location is conveniently accessible by train and tram. 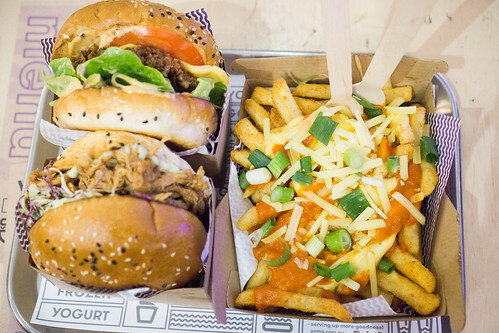 On It Burgers has around ten burgers to choose from, and for sides you can order onion rings, fries, with dips as extras and variety of milkshake flavours. 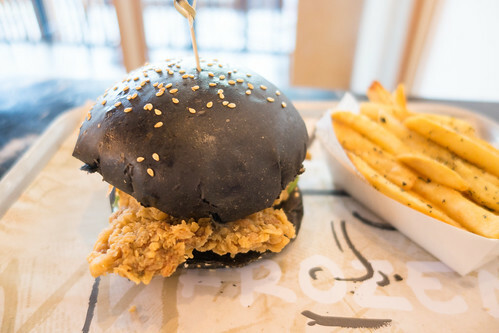 Being someone that loves trying something a bit different, I ordered the Spicy Chick which is basically deep fried crispy chicken with Sriracha mayo, slaw and lettuce with a black bun. 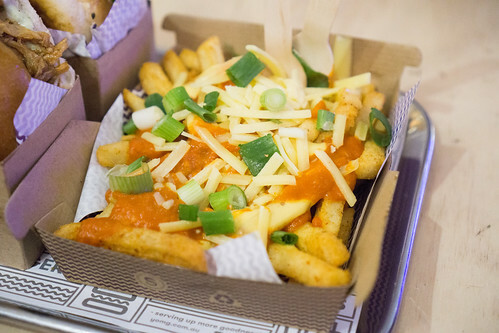 It’s very reminiscent of those KFC burgers but with the added spicy kick. Honestly, there isn’t much excitement from deep fried chicken but the flavours overall work together. On It Burgers also offer burgers with soft shell crab, vegetarian options (mushroom), jalapeno beef, and beef and bacon together, together. 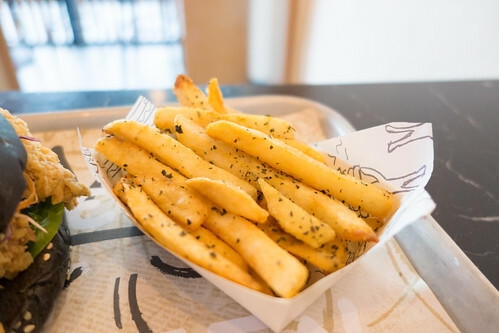 You can choose Sea Salt or Garlic and Basil as seasoning for your fries. 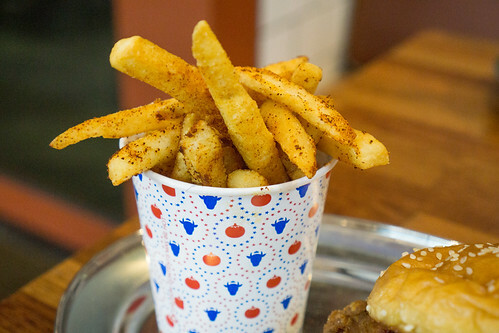 The Garlic and Basil seasoning is nice, but nothing like my favourite seasoning for fries from Grill’d. On It Burgers don’t reinvent the wheel with their burgers, there’s some interesting fillings but overall it’s your mostly standard burger joint done relatively well. Eastland Shopping Centre’s new Town Square is a lovely space for restaurants and the Sunday market as well. 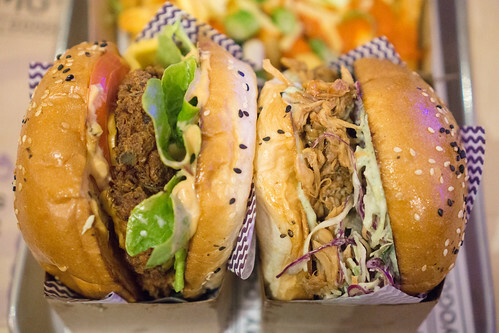 Eastland managed to persuade popular burger joint Huxtaburger to open up a new eatery east of Melbourne. 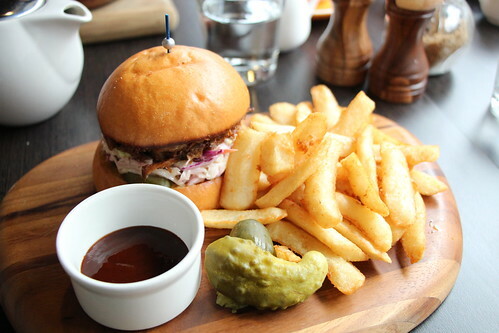 Now with five outlets around Melbourne, Huxtaburger offers American style burgers, snacks and drinks. 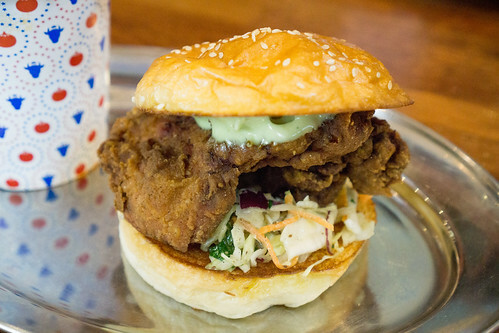 The Clair Burger has one huge piece of southern style fried chicken, plus jalapeno mayo and coleslaw with a sweet bun. 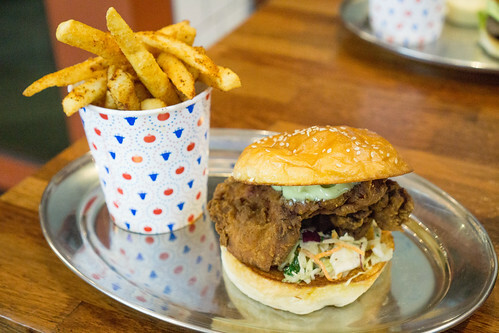 It’s quite a tasty burger, I loved the spicy kick from the mayo and I love the flavour from the coleslaw with the crunchy and moist chicken. Though for the price, it is on the small side of things. The Chipotle seasoned chips are an interesting take on the standard fries. It’s not for the spice-averse though because it is has quite a kick to it. I’d say it has a bit too much seasoning, even for me who loves spicy things. 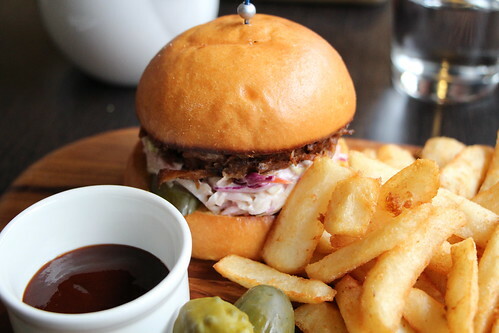 Huxtaburger does burgers and fries well but it doesn’t offer value for money. 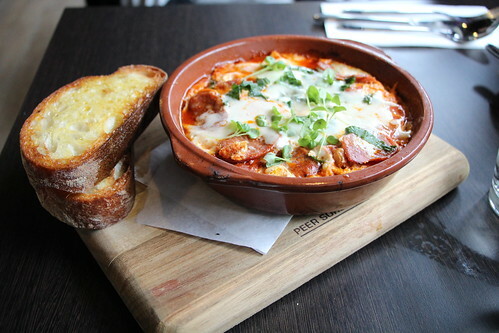 I’ve previously dined at Third Wave Cafe in Prahran (just off Commercial Road x Chapel St) and tried their breakfast/lunch menu which you can check out here and I was thoroughly impressed by their dishes. 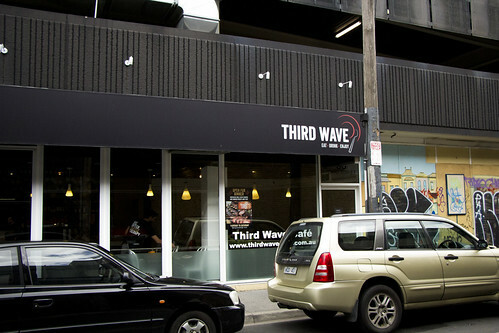 Third Wave Cafe have generously invited my friend and I to try their dinner menu where their specialty is slow cooked, smoked meats and fish American BBQ style. Although their BBQ meats may be the attraction for some, they also have a Paleo menu and even dishes such as burgers and quesadillas to try. 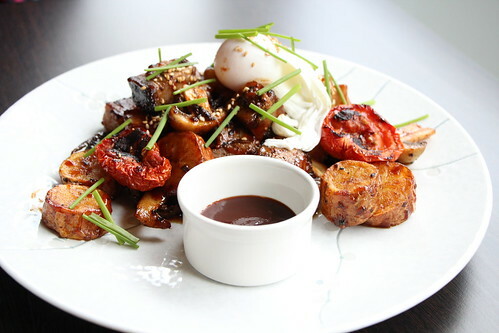 So for those that have tried Third Wave’s breakfast and lunch menu, it provides a small window into BBQ dishes but only when dining here in the evening will you find their expanded Slow Smoked BBQ menu. We ordered the Pork Ribs (450g/Half Rack), which were absolutely delicious. The pork is tender, easy to slice off the bone and cooked to perfection with just the right amount of BBQ flavour. 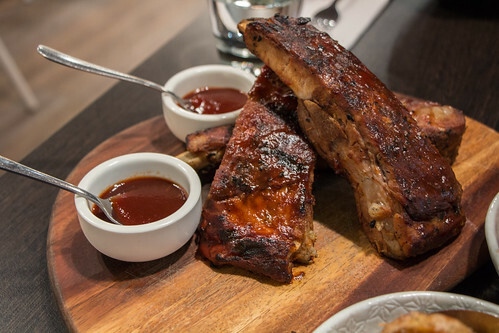 Served with the Pork Ribs, are two different BBQ sauces, the Spicy BBQ sauce and Apple Bourbon sauce, both having their subtle flavours that match the barbecued ribs. I love the spicy BBQ sauce in particular, as it’s smokey yet not overpowering and the spiciness gives the ribs a little kick but even then you could go without any of the sauces as the ribs are seasoned beautifully with the tastes of southern American cuisine. Third Wave’s Chicken (Medium Plate) was also fantastic and it really isn’t a surprise anymore that the food here is a step above. 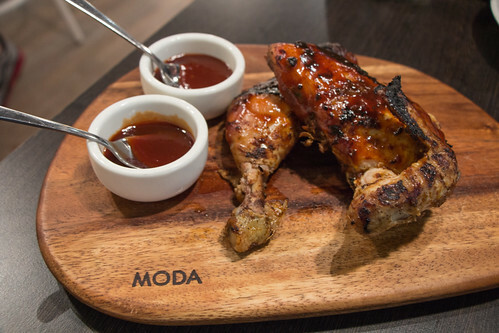 From their menu’s explanation, it details that the chicken is marinated overnight and smoked using Maple wood for many hours. The chicken is moist, and the aroma of the smoked chicken is salivating. Often Chicken that is barbecued is tough and dry, and I find it very difficult to cook well but here they have done the chicken justice. The chicken here, like the pork ribs above is served with two different BBQ sauces which I believe one was the spicy BBQ sauce. 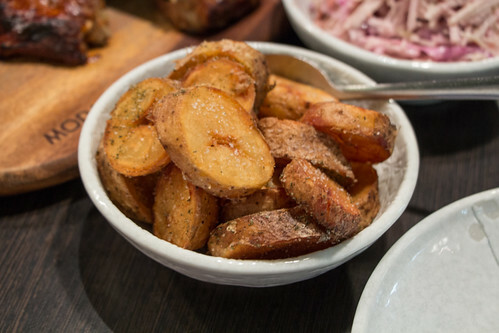 For sides we ordered the Confit Kipfler Potatoes (Medium Plate) which are Kipfler potatoes confit in duck fat and seasoned with salt and rosemary. The potatoes were crispy and the subtle seasoning of rosemary is all you ever need, but the one downside was the liberal use of salt. 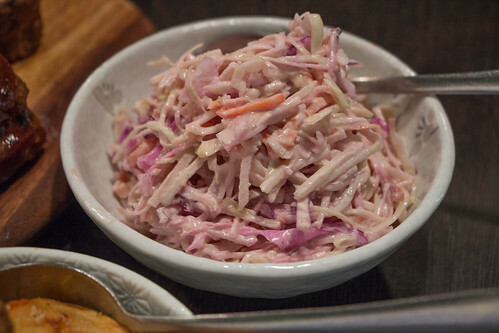 Having a crispy theme going on with the sides, we ordered the Crispy Coleslaw that is a mix of apples, carrots, cabbage and with Third Wave’s own coleslaw dressing. There are hints of richness from the mayonnaise that is cut through by the slight bitterness to the cabbage and a hint of tang. 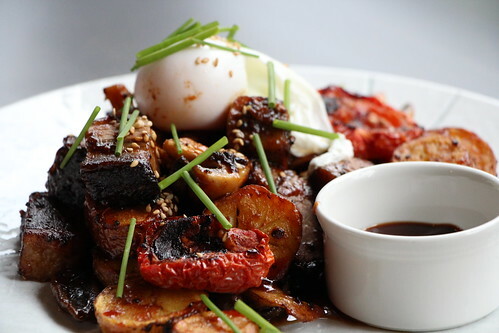 It isn’t something I would order often but it does at least provide some lightness to your overall meal. 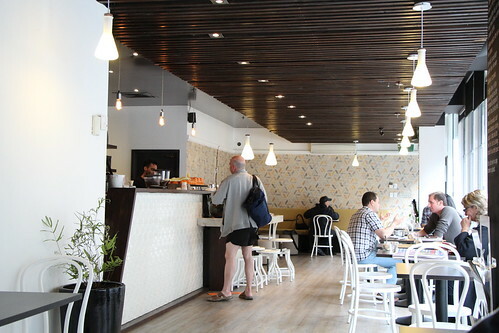 Third Wave Cafe’s serves delicious dishes throughout the entire day, so it’s no wonder people come back for more and I definitely will keep coming back. 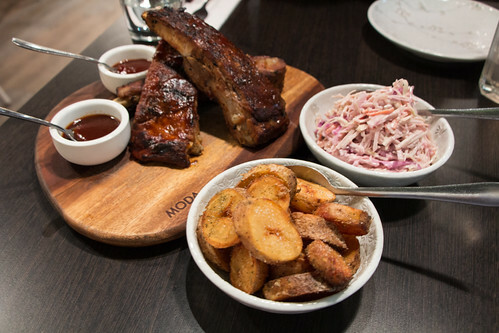 One of the highlights in both their dinner and lunch menus is their smoked meats and BBQ dishes. Their Texan Fry Up and the Pork Ribs here are my personal favourites but with an interesting variety on their menu, there is room for some competition. 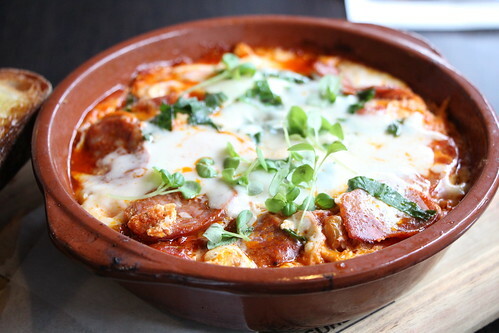 I sincerely do recommend trying their menu at least once, tasty BBQ dishes breakfast, lunch and dinner and with friendly service, I don’t think there is much else you could ask for.